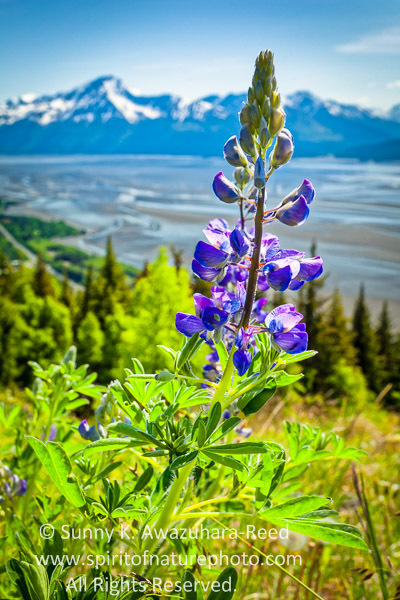 Spring comes quick in Alaska soon after the snow melts. Grass on the ground and new greens on the trees grow very fast under the long daylight… Then wildflowers start to bloom. Wildflowers take turns blooming during the short summer season. 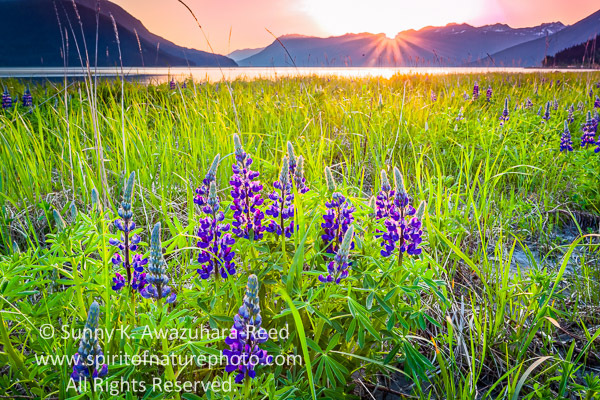 One of the first to bloom are lupines. 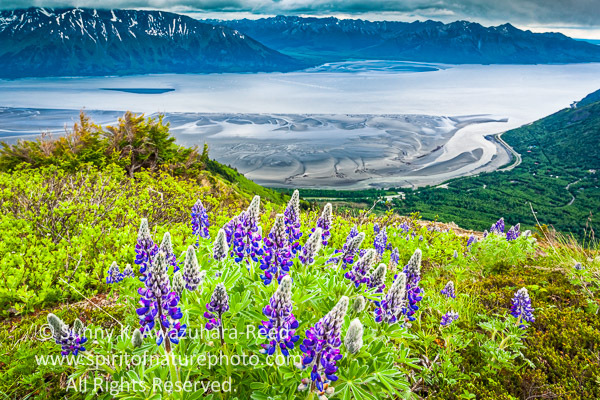 The violet flowers cover the coastal hills and fields along Turnagain Arm, a part of Cook Inlet, for a few weeks. This is one of my favorite times of the summer. 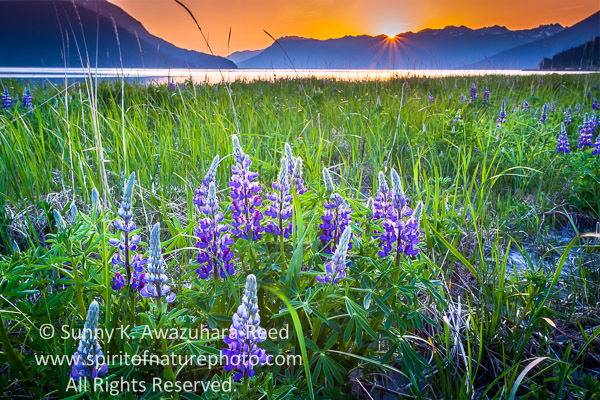 I picked one of the lupine patches at the shoreline of Turnagain Arm, and waited for sunset behind the ocean. The weather was beautiful, no wind, not even a breeze. The flowers stayed still for long exposure shots. The sun slowly started setting behind the mountains over the ocean. 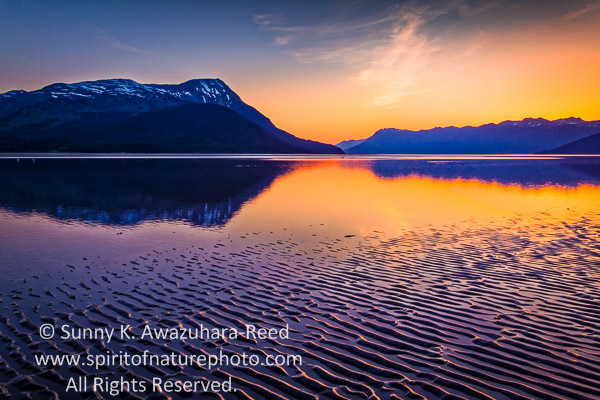 It was a low tide, the sand patterns glimmered in golden orange lights. Another day at Bird Ridge, overlooking Turnagain Arm. 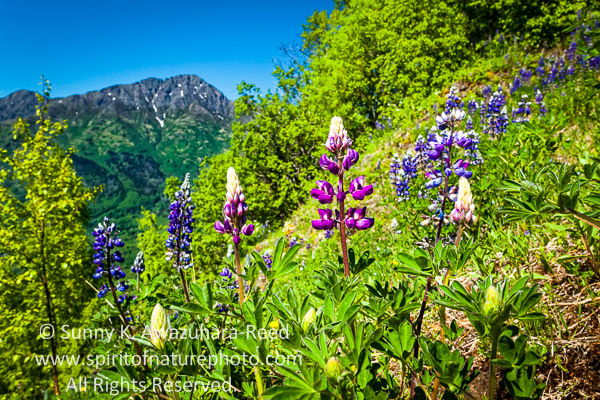 Lupines beautifully bloomed in the south side of the steep mountains. 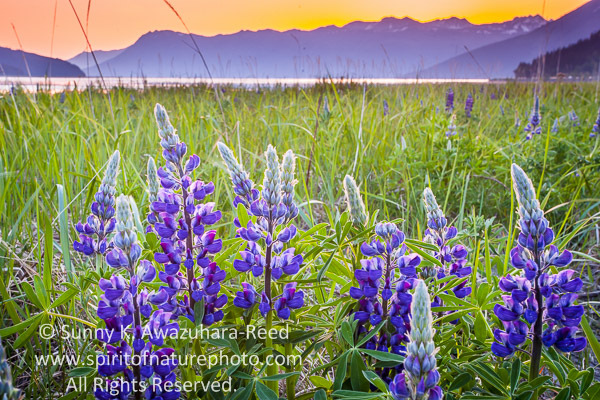 Lupines are normally violet, but sometimes they come in odd colors!